Save a magical realm by restoring the pages of a magic book. Can you save a magical realm by restoring the pages of a magic book? When Amanda finds a mysterious book in the rain forest, she is pulled into another world. This other world is in the grip of a terrible curse, and Amanda is the only one free to save the day. Determined to help, she sets out on a journey to restore the ruined land. To help Amanda banish the curse, you will complete exciting puzzle levels across five exciting chapters. 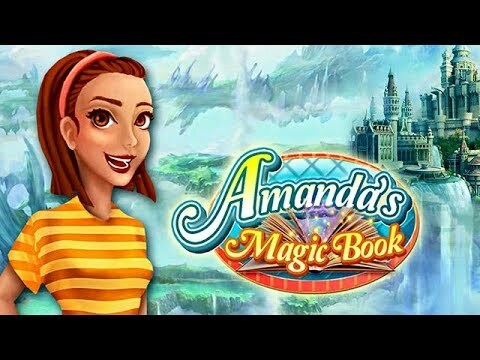 Piece by piece, restore this magical world to its former state in Amanda's Magic Book.